Successful cooperation between authorities will ensure smooth operations. 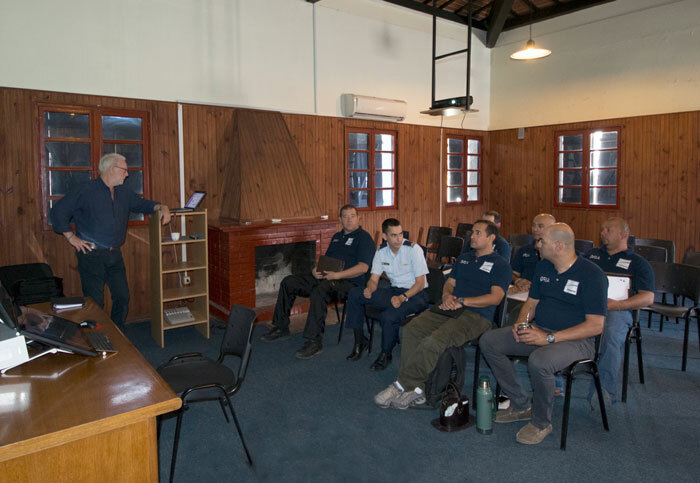 As described in our earlier news item ST Airborne Systems held succesful training sessions for both operators and maintenance personnel at the premises of the Uruguayan Air Force (FAU). For the CONOPS-training FAU had also invited the Uruguayan Customs, amongst other authorities. This part of the training was led by a former officer of the Swedish Coast Guard and led to fruitful discussions on how the cooperation between the different authorities may be improved. The feedback we have received from the training tells us that the exchange of experiences and best practices as well as learning about how FAU can best support Uruguayan Customs in their work was highly appreciated by all parties involved.